People: Noriega. Spacecraft: ISS, Cubesat. Launch Vehicles: Proton, Super Loki. 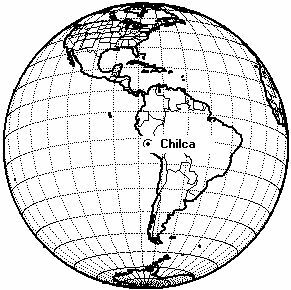 Launch Sites: Puente del Inca, Chilca, Chilca PLOB, Dombarovskiy. Agency: NASA. 1959 October 8 - . Birth of Carlos Ismael Noriega - . Nation: Peru, USA. Related Persons: Noriega. American computer scientist mission specialist astronaut 1994-2005. Grew up in Santa Clara, California. 2 spaceflights, 20.1 days in space. Flew to orbit on STS-84 (1997), STS-97..
UAP-SAT - . Mass: 2.00 kg (4.40 lb). Nation: Peru. Class: Technology. Type: Technology satellite. Spacecraft: Cubesat. Decay Date: 2014-05-22 . USAF Sat Cat: 39568 . COSPAR: 1998-067EM. Apogee: 196 km (121 mi). Perigee: 183 km (113 mi). Inclination: 51.62 deg. Period: 88.28 min. Cubesat from Universidad Alas Peruanas, Lima..